I hope you are all well and that you didn’t miss me too much over the weekend, hehe. 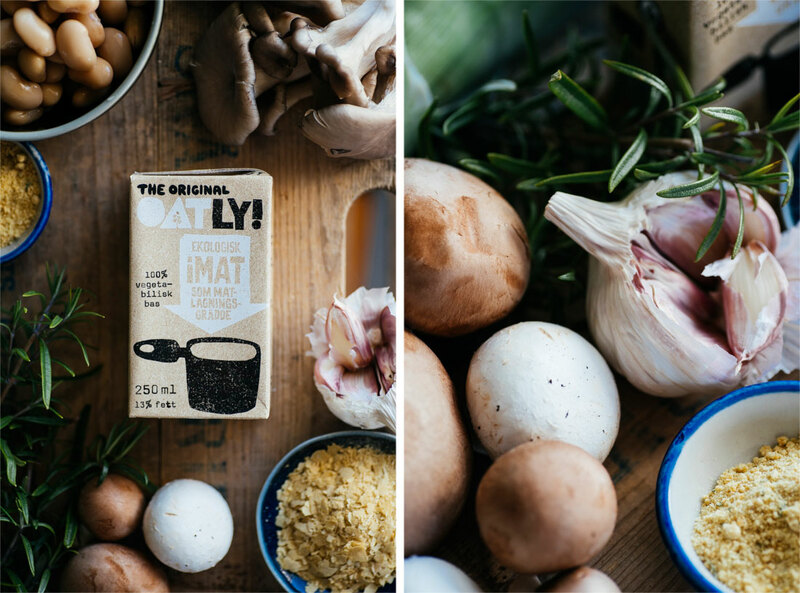 I meant to post this recipe for my creamy mushroom soup last Saturday but as Faye and I were hosting our first yoga + food event on Sunday I ended up being very busy. The event turned out the way we planned it though and our guests left with radiant smiles which was the best reward a girl could get. We did take some photos and video of the evening and I can’t wait to put it all together and share it with you. With that said I am right now in Dubai working with Rob on a video project, i.e. I’ve got my hands full. I want to edit the video as soon as I can though, with all the memories from the evening clear in my mind, so stay tuned. Until that’s finished I have a few other fun things lined up for you here on the blog and on my youtube channel. Like this yummy soup! 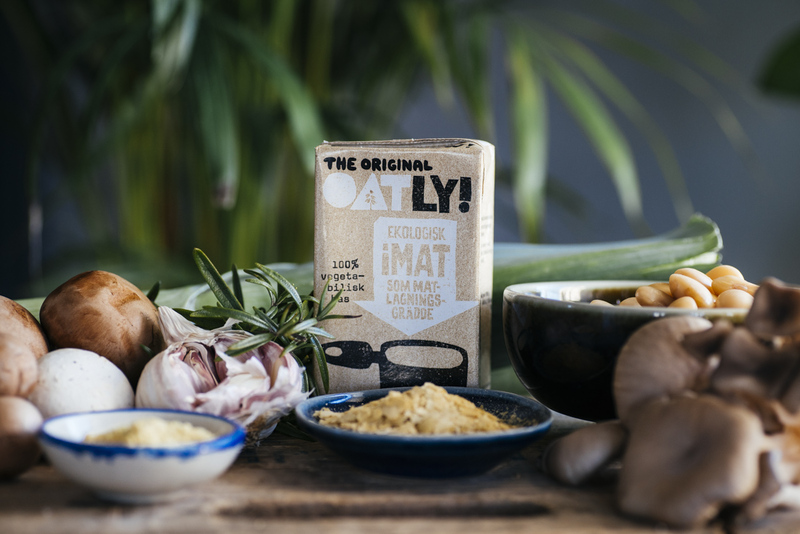 One of our sponsors for the yoga + food event was Oatly, you know the awesome Swedish company who make various products from oats that replace many dairy related products. They actually sent me whole supple of yummy stuff to use in my cooking and one of the items was their oat based cooking cream. 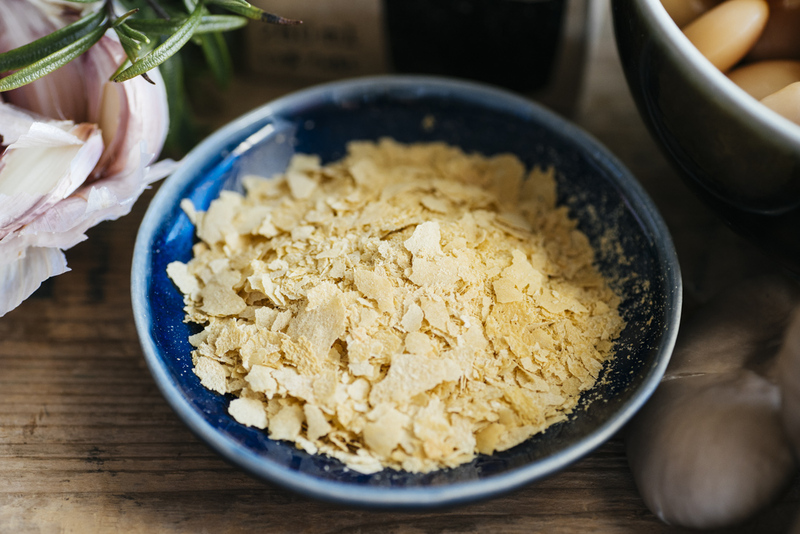 I love using this cream for mushroom pasta but as I just posted a recipe for pasta and I for a long time wanted to make my own creamy mushroom soup I decided to do just that. 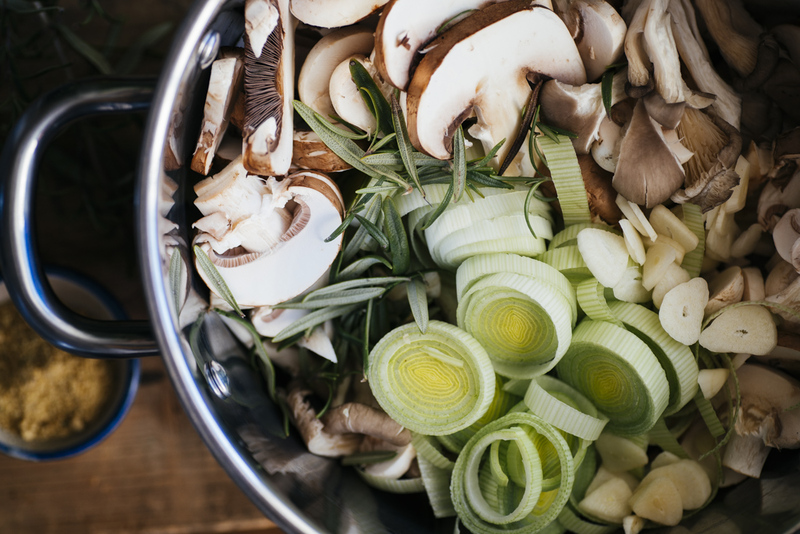 The mushrooms bring all the flavour to this dish so choose them with care. 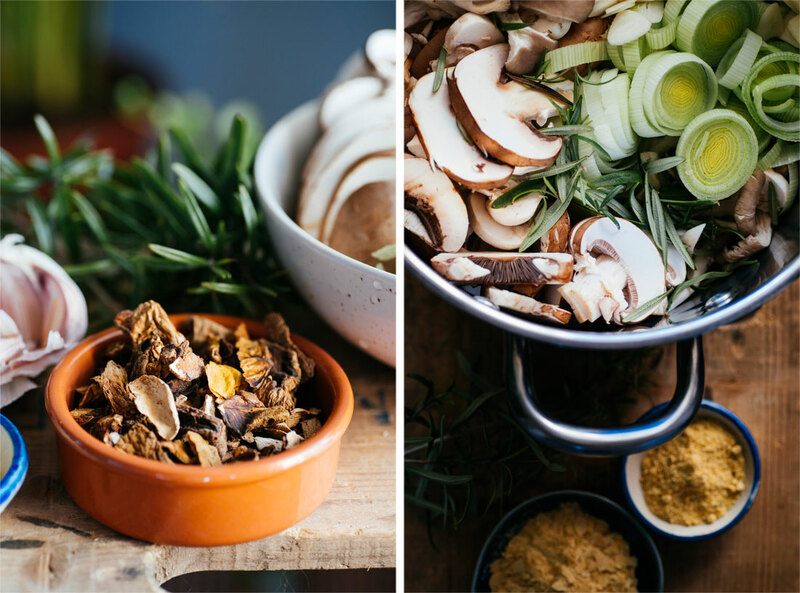 I purposefully add dried mushrooms to my soup, including the soaking water, to give it that deeper flavour. And to add to the creaminess of the oat cream as well as create a smoother texture I added butter beans into the mix. 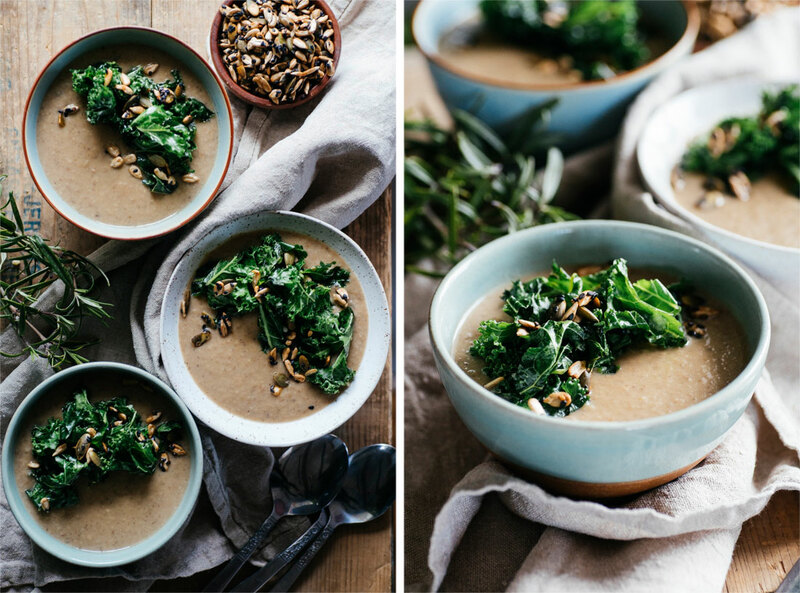 This also makes the soup a bit more filling and nutrient dense. 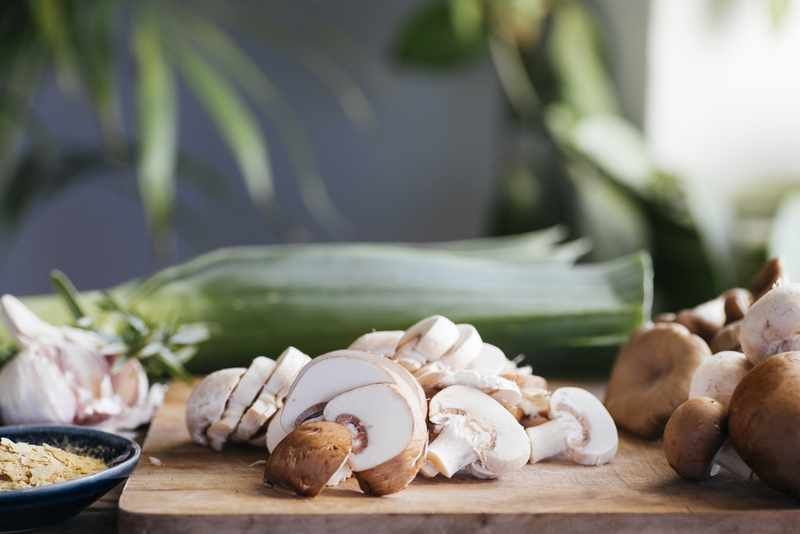 Soak your dried porcini mushrooms in 0,4 liters hot water for roughly one hour. 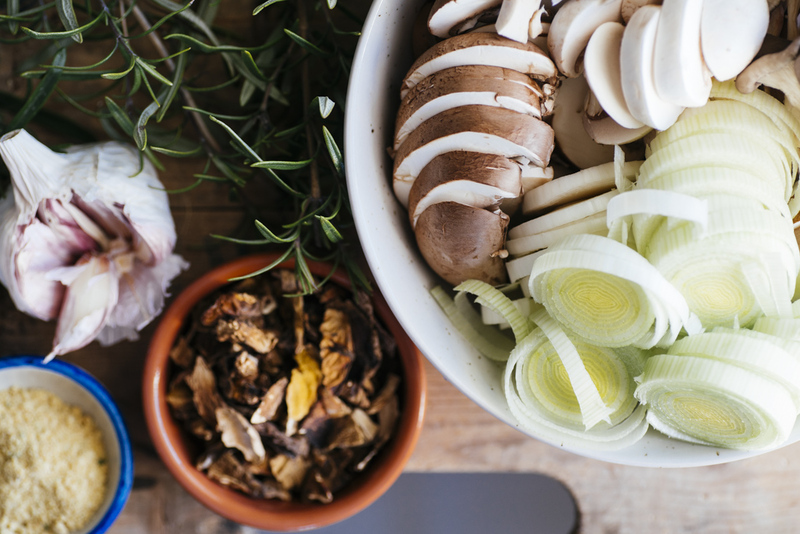 In the mean time slices your mushrooms and add them along with the leek, garlic and rosemary to a pot over medium heat with a little olive oil. Mix well and sweat covered with a lid for roughly 15 minutes or until they vegetables are more or less cooked and have released a lot of liquid. 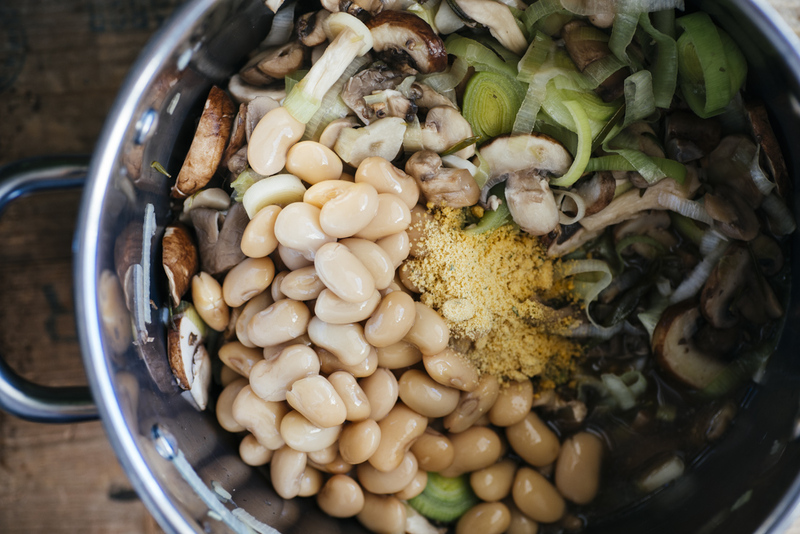 Add your soaked porcini along with the soaking water, butter beans, stock powder as well as water and bring to a boil. Once boiling reduce to a simmer for roughly ten minutes covered with a lid. 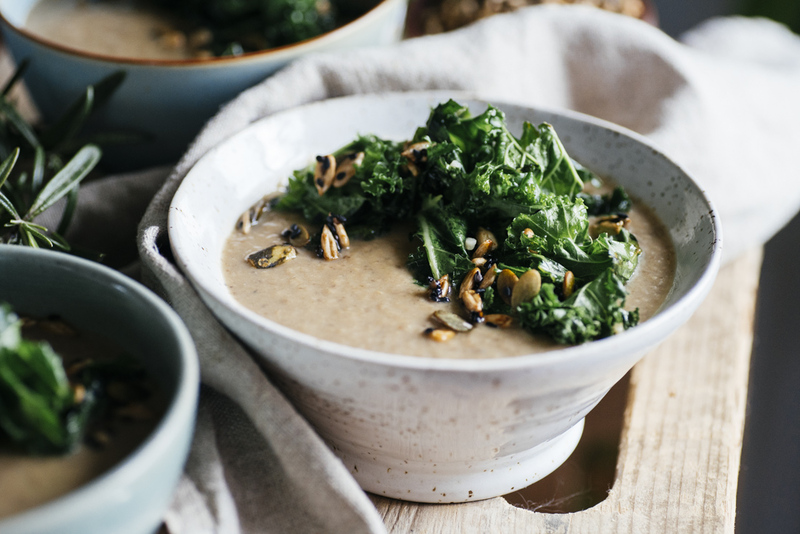 Whilst the soup is simmering place a skillet over medium heat and add some oil, the kale and garlic. 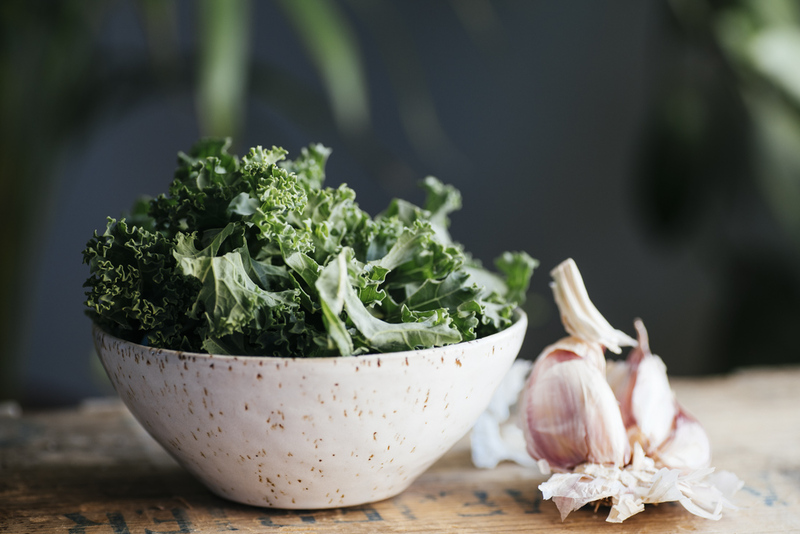 Mix the kale well with the garlic and oil before covering with a lid and sweating until tender. Finally add your cream and soya sauce and heat the soup through before adding your nutritional yeast. Blits the soup with a hand blender until mainly smooth. 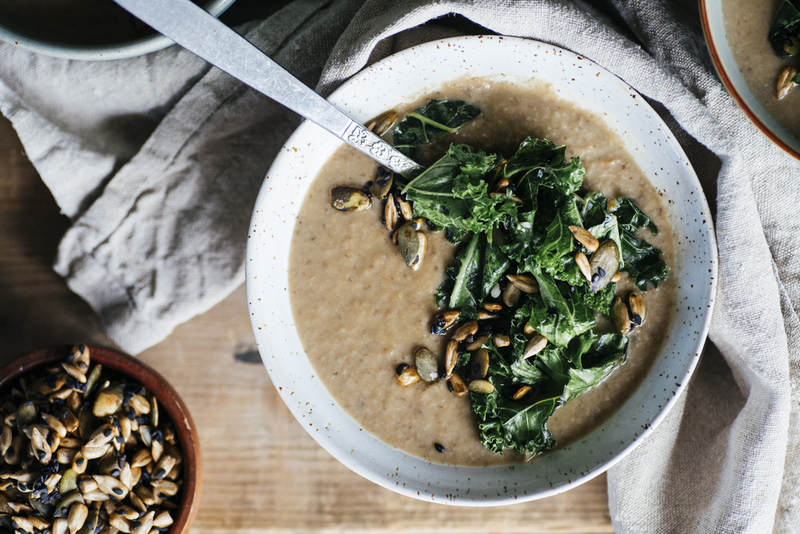 Serve with the garlic kale on top and maybe some tamari roasted seeds. Hi Malin, this looks delicious and I was just going to make this tonight, but realise that butter beans are not listed as an ingredient. How much of them did you add to your soup? Thanks! Well spotted, can’t believe I missed out putting that ingredient in there. Sorry about that! I used one can of beans, or equivalent. Me and my sambo totally loved it and can’t wait to try another recipe from your blog! 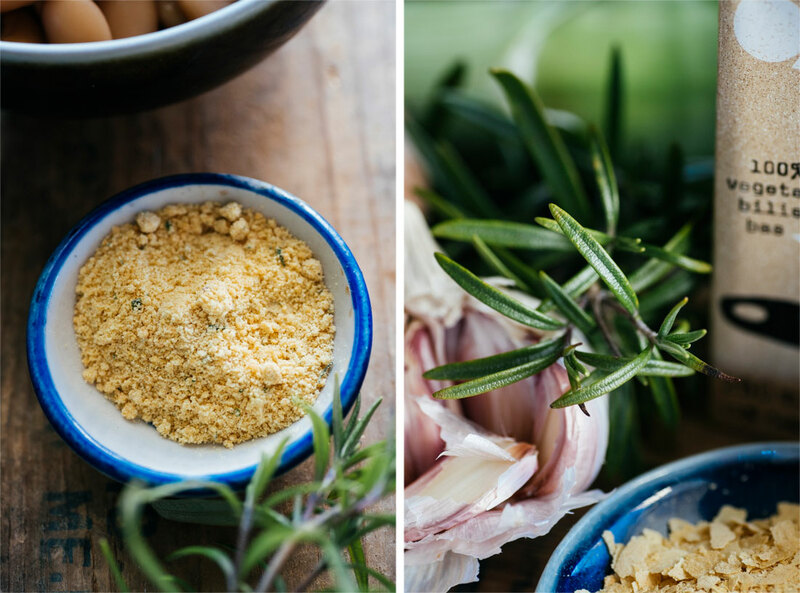 Good luck with your next cooking escapades! Hi Malin, such a nice recipe. How long can you store this ? will freezing this work ?